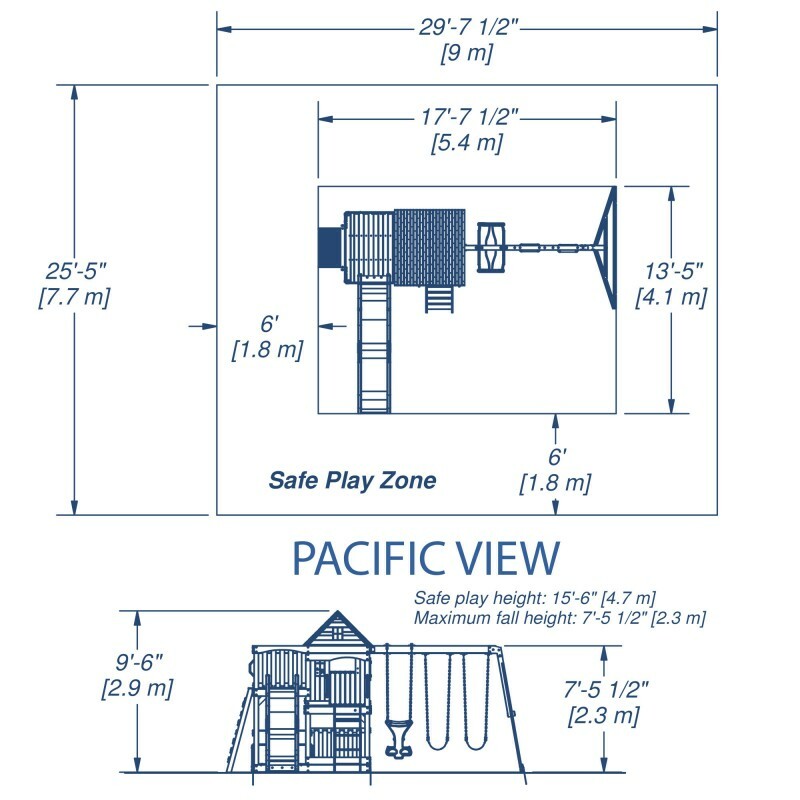 The Pacific View swing set has an awesome upper clubhouse with second level sun porch. 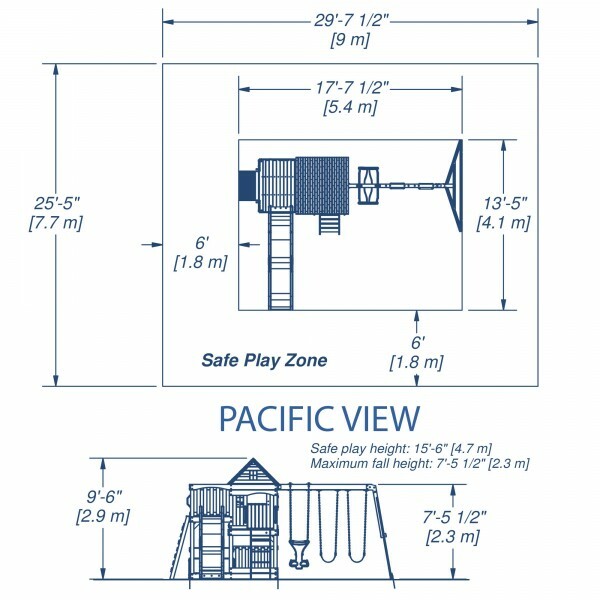 Down below there is a two-level play deck / sand box and a half picnic table. 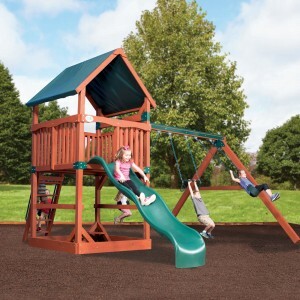 A standard ladder and solid rock wall allow climbing to be both easy and challenging. 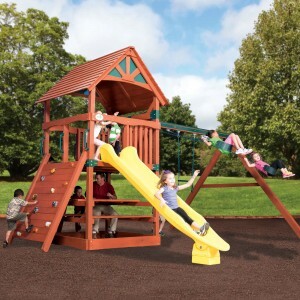 The 10′ speedy slide is fast and fun! 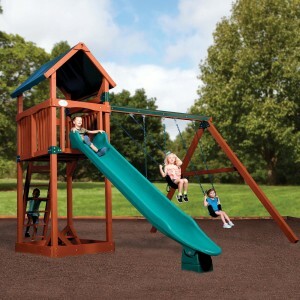 This play set has two belt swings and a two-person glider so four can swing at once. 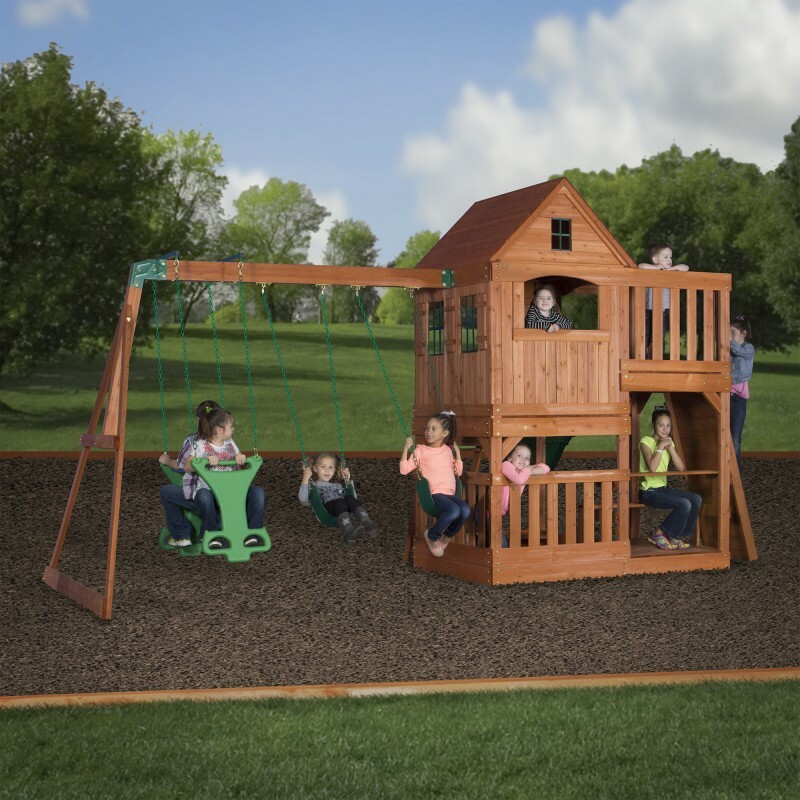 Made from 100% cedar wood that is pre-cut, pre-drilled, and pre-stained for ease of assembly. 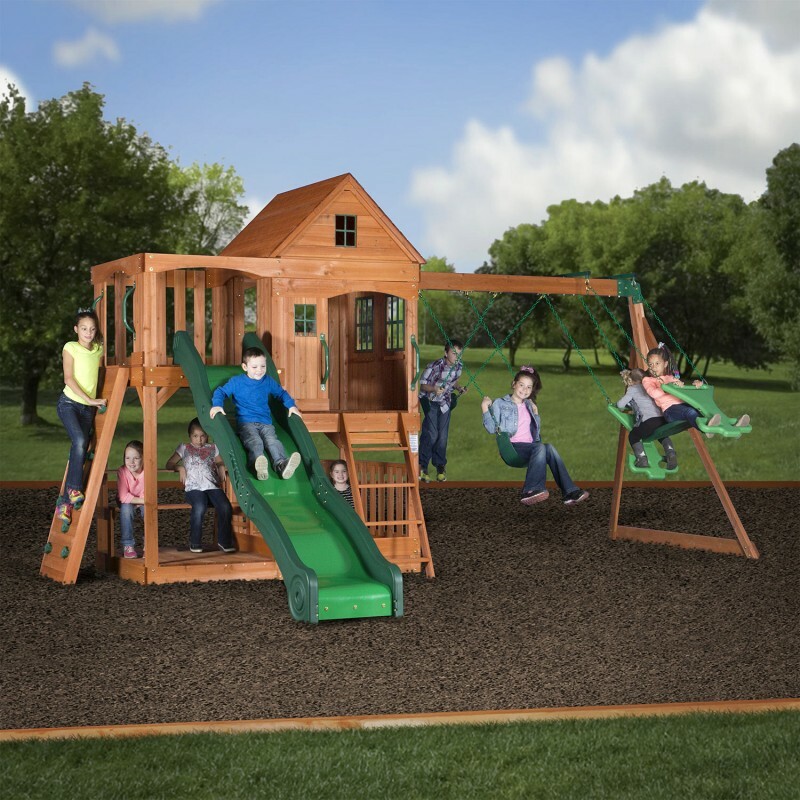 A great swing set with raised clubhouse, lower play deck, 10′ speedy slide, and lots more!